So my favorite person in the WORLD ok ok I am exagerrating, but I do have a soft spot for my fellow Bajan Princess - Ms. Rihanna~! Yes people do not hate, Ms. Thang is poppin and has it going on. In her latest trendsetting fashion spread in ESSENCE magazine, Rih Rih rocks some hot attire as well as funky Metallic nail colors by China Glaze that will keep us all feeling and partying like Rock Stars this fall. My fav is the Metallic Silver. Throughout the spread Rih sports a serious array of colors from gold to shocking silver. Not to mention that I am really digging her look with the yellow plaid dress - the grey Moschino hat definitely adds some flavor! She also wears a really nice shiny brown in the spread. I mean you can't really get flyer than her right now. You just CAN'T~! 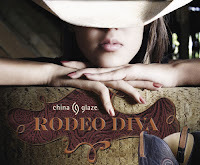 Speaking of China Glaze they have launched their Fall color collection Rodeo Diva consisting of 12 deeply hued shades that will keep us all coming back for more. Once I try Lasso My Heart, i'll be sure to post a picture for you all to see how lovely the shade really is. 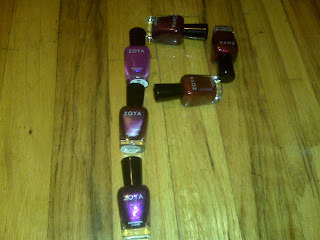 Check out http://www.chinaglaze.com/ for more info on the collection. So I apologize for the time duration between my first posts and this one, but I promise that this will not happen again. There is so much to tell and so little time! I HAVE to make this a priority. I mean you need your news, tips, tricks and everything else it takes to keep yourself looking FAB. So before I go into new news, I wanted to provide you all with the products I use to go along with the tips I provided you eons ago! Yea I know its a while back, but cut me slack! 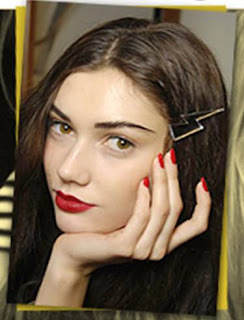 I'm sure everyone knows how important it is to keep a nail file in your handbag, but a 4-point file/buffer is the ultimate necessity. 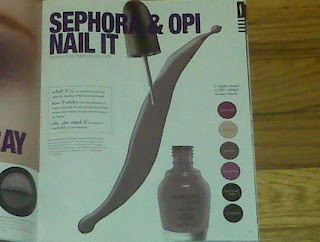 You can do it all with this one, even out the rough edges, buff and shine the nail bed, and smooth out ridges. I purchased this at Walgreens for 99 cents people, 9-9 cents! 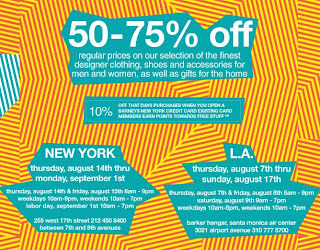 Studio B product line. 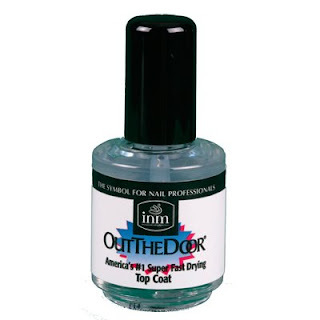 Fantastic quick dry top coat that actually really does dry your nails fast! I have tried other brands and let me tell you this is by far the best! 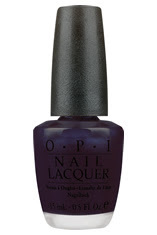 And unlike some other quick dry top coaters this one actually does have the "shine" element to it so nails are not dull. You can find this at any beauty supply store. 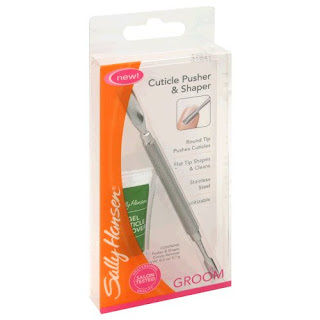 This cuticle groomer is pretty much the same exact one that salon professionals use. It's compact and you can carry it around in your make-up bag. 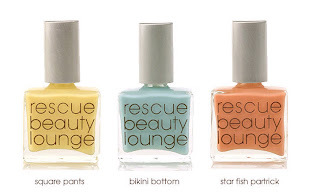 I get this from any drug store that sells Sally Hansen and I even bring it with me on my weekly trips to Nails & More. One of my favorite products and brands might I add; it leaves the skin around your nails feeling sultry smooth and your cuticles picture perfect AND the subtle shea butter scent isn't bad either. 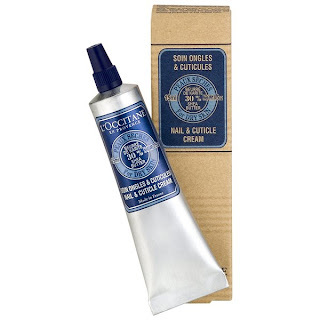 You can find this at any L'Occitane location or online.